The other day (or was it last week? I am losing track), I was thinking (because I am unemployed and that’s how I spend all my extra time). If this phase is a dark tunnel, then God has been graciously granting little matches. Until God allows the day to win the night in this tunnel of “transition,” He’s lighting little matches – little reminders that He is near, He has not forgotten me, and He wants me to be thrilled at even the notion of light. You see, we get all wrapped up in HUGE, dramatic deliverance from trials. We have to squeeze tragedy and triumph into 30 minute TV shows and 2 hour films. When it comes to our own trials, we expect them to last just about as long. God doesn’t work within the schedule of TV digest or any other timeline we’ve superimposed on our lives. His tunnels and open spaces are the exact length needed for us to see His glory and nothing less. So, I’ve adapted my eyes, if you will, to the darkness and I’ve found that the slightest spark is brilliantly bright! Take farming, for instance. Nobody (including me) would have said I’d end up in a tractor for harvest this year. 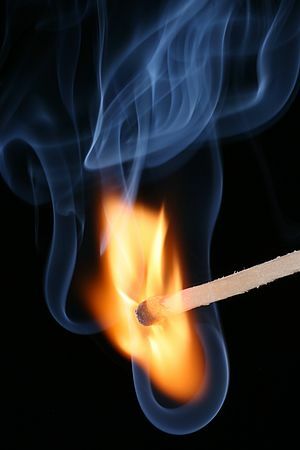 But, there it is – a little match lit to remind me of all the ways God is providing and all the ways His fields are just as ripe for harvest and it’s no easy task. And then there are the times I’ve been asked to speak at churches, the adventures in babysitting, the raspberry picking with my grandparents, the card playing with friends, the football games with parents, the crazy road trips to pick up missionaries, the missions conference with the local church, and the countless other examples of little matches sparked in my life to remind me of God’s presence, power, and purpose. Every little match shows brilliant against a dark backdrop and reveals just how much God cares for me. What little matches are being lit in your tunnel, dear friend? Another encouraging and truthful perspective! Thank you for sharing your heart so honestly! !